Dan Mullen’s return to Mississippi State couldn’t have gone any better for Florida’s first-year coach. The Gators’ defense absolutely smothered the Bulldogs throughout the game — allowing a mere 202 yards and only six points. Their loss to Kentucky is looking better by the week, and now Florida has a huge opportunity to announce themselves as a contender with a win over LSU. Making their power rankings debut, the Wolfpack look like they might be able to push for the ACC Atlantic throne. Starting this week, the Wolfpack will embark on the toughest stretch of their season — vs. Boston College, @ Clemson, @ Syracuse. With three consecutive games coming against the top contenders within their division, NC State controls its own destiny. Brett Rypien’s stellar play has the Broncos back on track. Rypien has thrown for more than 300 yards in four-straight game (including 342 yards against Wyoming). Boise faces one of their tallest tasks this week as it welcomes the Aztecs to the blue turf. The Cowboys bounced back from their thrashing at the hands of Texas Tech by running past Kansas. With a showdown against Texas quickly approaching, the Cowboys will look to keep the offense humming against Iowa State and Kansas State in the lead up to their marquee game. The Spartans have struggled without star running back L.J. Scott. To make matters worse for MSU, leading receiver Cody White broke his hand this past weekend against Central Michigan. With Penn State and Michigan on the horizon, Sparty must be careful to not overlook Northwestern this week. The Longhorns are 2-for-2 in big-time games this season. With wins over USC and TCU, Texas readies for its biggest rival, Oklahoma. Texas would love nothing more than to hand the Sooners their first loss of the season. Conversely, a bad loss to Oklahoma could potentially weigh heavily on the Longhorns the rest of the season. The Buffs and WR Laviska Shenault Jr. keep on rolling. Through five weeks, Shenault has been the best receiver in the nation. Colorado also looks to be the best team in the Pac-12 South. With QB Steven Montez continuing to play well, it will take a solid effort to knock off the Buffaloes. Kentucky continues to defy the odds. After knocking off both Florida and a highly-touted Mississippi State squad, the Wildcats handled South Carolina at home despite being underdogs at home. If Kentucky really wants to convince people they are a threat, a win at Texas A&M would surely do the trick. Things are looking worse and worse for Nebraska. Still winless, the Cornhuskers must travel to Madison to face a Wisconsin team that has had an extra week to prepare. The Badgers should have no problem getting past Nebraska as they look towards a battle with Michigan in the upcoming weeks. A week after dominating Nebraska, the Wolverines were lucky to escape Northwestern with a victory. Maryland serves as a buffer between a daunting three-game stretch (vs. Wisconsin, @ Michigan State, vs. Penn State). Should the Wolverines survive this week, they will enter their Week 7 matchup with the chance of making a run at the CFP. The Ducks collapsed against Stanford, but they rebounded in an emphatic way. 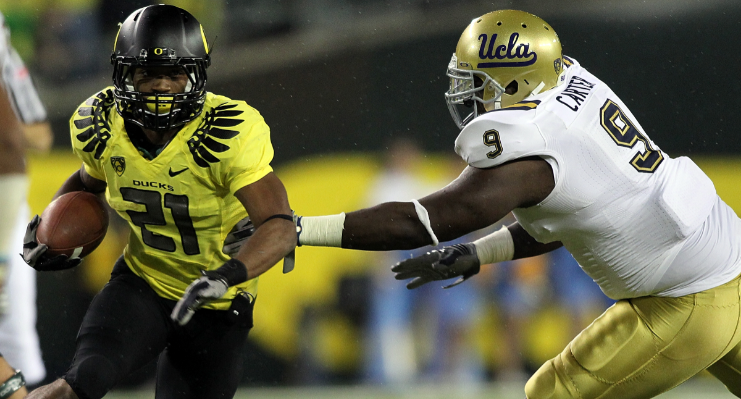 Oregon went into Berkeley and dominated the Golden Bears. With a week off to prepare for the Washington Huskies, Oregon will have another opportunity to jump back into the CFP discussion. If the Ducks can get past Washington, they have a chance to run the table. The Turnover Chain made a triumphant return against North Carolina. The Canes forced the Tar Heels into six turnovers during their blowout win. Since their season-opening loss to LSU, the Canes have dominated each of their next four opponents. Miami should impose its will on Florida State this weekend as they continue to rack up victories en route to an inevitable showdown with Clemson in the ACC Championship. This last weekend offered immense heartbreak for the Nittany Lions. Penn State held a 26-14 lead over Ohio State with eight minutes remaining in the fourth quarter before allowing back-to-back touchdowns. Now facing an uphill battle to win the Big Ten East, Penn State must win out and hope for the Buckeyes to drop at least two contests. The scoreline may suggest Stanford never had a chance against the Fighting Irish, but that would be incorrect. Stanford was competitive for most of the game before surrendering two touchdowns late in the fourth quarter. Of greater concern, Bryce Love was forced to leave the game early with an ankle injury. If Love cannot come back for this weekend’s tilt with Utah, the Cardinal may be in trouble. A meeting with a Power 5 school ended in the same manner in which the past two have — with a UCF victory. McKenzie Milton threw for four touchdowns and ran for two more in a blowout victory over the Pitt Panthers. 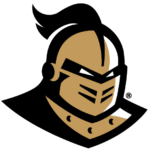 Already at a disadvantage due to their conference allegiance, blowout victories are vital to UCF’s CFP chances. After racing out to a 35-10 lead in Lubbock, the Mountaineers defense struggled to contain Texas Tech’s offense in the second half. However, the Mountaineers notched a solid victory on the road against a ranked team. As long as Will Grier and the WVU offense continues to produce at a torrid pace, the Mountaineers will be tough to knock off. The Huskies seem to have hit their stride. Washington pulverized BYU in every facet of the game en route to a 35-7 victory in Seattle. With a trip to Oregon scheduled for Week 7, the CFB gods blessed the Huskies with an easy matchup against UCLA this week. Chris Petersen’s men should be able to fine-tune their game during a glorified scrimmage with the Bruins. In a closer-than-expected game against the Southern Miss Golden Eagles, the Tigers were able to eek out another double-digit victory. With a suddenly struggling Mississippi State team coming to town, Auburn will look to take out the Bulldogs early. Starting this week, LSU’s postseason fate will likely be determined. A visit to The Swamp is first — followed by home games against No. 2 Georgia, Mississippi State and No. 1 Alabama. LSU’s offense has been better than anyone could have expected. If the Tigers are able to put up points against Florida’s defense, things could fall in their favor. Kyler Murray accounted for seven touchdowns as the Sooners took their Week 4 frustration out on the Baylor Bears. A win over rival Texas would not only give OU bragging rights, but it would also offer distance between themselves and one of their top challengers in the Big 12. QB Ian Book has transformed Notre Dame into a truly dangerous team. With an expanded offensive attack, the Irish are capable of beating anyone in the nation. Their toughest remaining test may be this weekend at Virginia Tech. 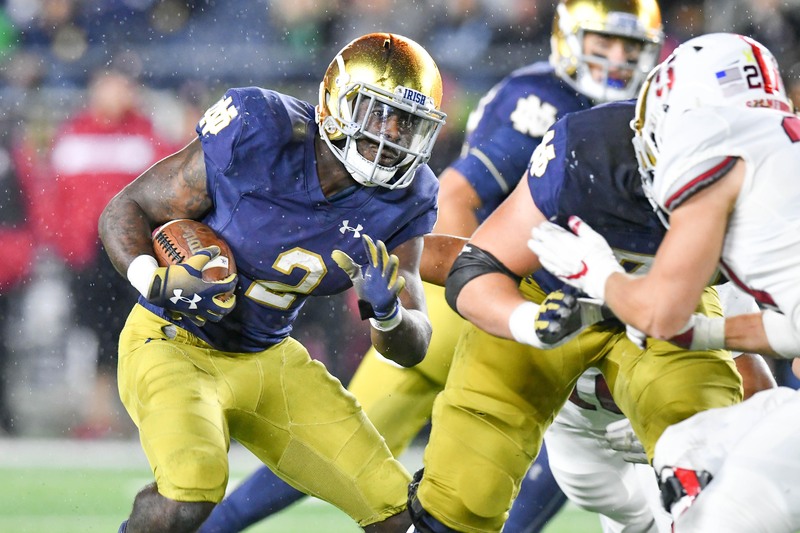 If the Fighting Irish can escape Blacksburg with a victory, they have a great shot at the CFP. The Buckeyes’ talent came through in Happy Valley. Trailing for most of the game — including by 12 with eight minutes left in the fourth — Ohio State stunned the Nittany Lions by scoring the game’s final 13 points. The Buckeyes now have four ‘easy’ games in a row before they face Michigan State on the road. Ohio State should enter November undefeated and primed for a CFP run. 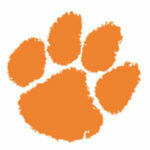 Clemson narrowly avoided a second-straight upset loss to Syracuse. It was a rough week for Dabo Swinney’s team. QB Kelly Bryant announced his intent to transfer — a decision offering even more implications once Trevor Lawrence left the Syracuse game with an apparent head injury. If the Tigers want to make it through the ACC unscathed, they must rely on a healthy Lawrence to get there. Through five games, the Bulldogs haven’t been tested whatsoever. Vanderbilt is an improved squad — though the Commodores shouldn’t prove to be too much of a problem. After the Vandy game, the schedule becomes more challenging. Here are Georgia’s next four games: @ LSU, vs. Florida, @ Kentucky, vs. Auburn. Three quarterbacks saw playing time for the Tide this past weekend. They combined to go 13-of-16 for 340 yards and four touchdowns. The Tide rushed for an additional 268 yards and three touchdowns. 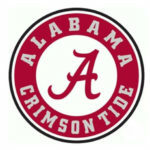 Clearly the class of college football, Alabama will likely not be challenged until they take on LSU in Week 10.